“Usually I try to play a lot of Di Sarli and D'Arienzo, adding other good stuff in between. I think that a DJ does a really great job when dancers aren't afraid to miss a good tanda (to chill at the bar or chat with friends) just because they know that there's more wonderful music coming. 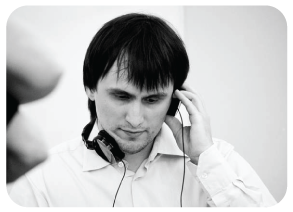 I started DJing in Minsk in 2009. I wanted to dance to music I liked and this provided the opportunity. It helped tango in my city to grow and develop as well. Now I enjoy DJing as much as dancing. Over the years I've worked at Ukrainian, Russian, Lithuanian, Estonian, Finnish and of course Belarusian tango events."